Unless you have been living under a rock for the past fifty or so years, you’ve probably watched a James Bond movie. Cult classics, these movies are renowned for their exotic locations, beautiful (and often doomed) leading ladies, black tie apparel, gadgets, and of course, their amazing cars. British secret service agent James Bond most often represents his country by driving British sports cars. Of all the cars he drives, the Aston Martins are one of the most head-turning and popular cars used in the films. Let’s take a closer look at the quintessential James Bond aston Martins. If you love James Bond movies, then Goldfinger is a classic. For many Bond fans, Sean Connery is the best James Bond ever, and no other actor even compares to his portrayal of the spy. The James Bond movies are based upon a series of books written by Ian Fleming. In the book that Goldfinger was based upon, James bond drove an Aston Martin DB8 Mark III. However, the movie used the latest Aston Martin car, the DB5, instead. Truly stunning, this car included machine guns, rotating license plates, an ejector seat, and an oil sprayer. The DB5 is so beloved that it returns in several other James Bond films. If Sean Connery is the ultimate James Bond, then the DB5 is the ultimate James Bond car. In 1965, the Goldfinger DB5 returned in another Sean Connery film, Thunderball. This time, the car included a water cannon and a jetpack to help James Bond triumph over his enemy, the much hated organization SPECTRE. In 1968, this James Bond film featured a new James Bond played by George Lazenby as well as a new Aston Martin. The very first scenes in the movie began with James bond driving a DBS through the winding roads of Portugal. An integral scene in the movie featured the DBS, but we will not reveal any spoilers here. You’ll have to watch the movie yourself. This 1987 James Bond movie features another prominent James Bond, this time played by Timothy Dalton. At this point, Aston Martins had not been used in James Bond films for eighteen years, but it seems that the movie makers finally came back to their senses. In this movie, the V8 had a control panel complete with a rocket propulsion system, missiles, tire spikes, and lasers (after all, it was the eighties). Once again, the DB5 makes a comeback in the 1995 film, Goldeneye. This film features the extraordinarily handsome Pierce Brosnan as James Bond, and he engages in a race scene with villainess Xenia Onatopp. Bond’s DB5 races against Onatopp’s Ferrari Spider 355 until his passenger demands that he stop. After pulling the emergency brake, James Bond then pulls out a bottle of champagne to celebrate with his lady. Touche. Love him or hate him, Daniel Craig debuted as the latest James Bond in Casino Royale. In this movie, Bond drove both a DBS and a DB5. Two Aston Martins in one James Bond movie; what else could we possibly want? How about a scene in which a car flips and rolls at a world record seven times? Our wish was granted in the DBS. Remember that gorgeous silver DB5 in Goldfinger and Thunderball? In a pivotal scene, she makes her comeback in this movie. When this movie debuted in theaters, the crowd went wild when this beloved car was reintroduced, and we still believe that this is THE car of all James Bond cars. Drop the mic. Are you a fan of Aston Martin cars? 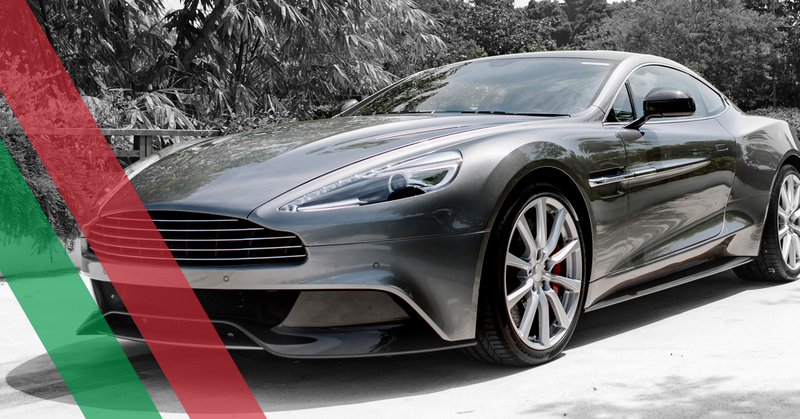 Our auto scanner tools work well with Aston Martins so that you can ride your car like an international spy. Contact us today to learn more about our diagnostic car tool and car scanner software today.